My youngest is turning two next month and although he’s still in diapers, I’m glad he’s almost always 100% dry in the mornings when he wakes up. 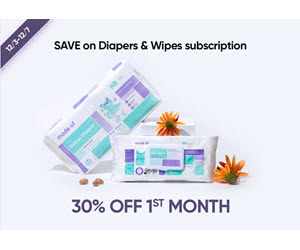 We’ve been using Pampers exclusively since my oldest was born for various reasons, such as the quality of the diaper, the affordable price and my kids’ comfort (they have an allergic reaction to other brands). This is why when I was invited to celebrate with Pampers “fun morning moments when babies wake up dry” I was thrilled! The event took place at the Children’s Museum of Manhattan and featured a large pop-up disco-style crib where babies got to dance and show their moves, as well as an appearance by actress Ali Larter. My almost-two-year-old refused to go in the disco crib to show off his moves, but he did like exploring the little play area that Pampers set up nearby. He had a blast playing at the museum. It’s perfect for very young kids. We took our oldest when she was 10 months old and she had a great time! My older kids had just as much fun with the museum’s exhibits. Ali Larter looked absolutely glowing. She’s expecting a baby later this winter and looked gorgeous in person. Check out her new show, Legends – a drama series on TNT. You can post videos of your baby’s best morning moves on facebook, twitter or instagram and use the hashtag #BabyGotMoves. Who knows, your kid might be featured in their next video! Sounds like such a great event. My kiddos wore Pampers, too! This is so fun! I loved Pampers when my kids were in diapers. And disco crib?! Where can I get one of those? So fun!